Like our Maple Syrup version, this modern update on the classic Old Fashioned combines the warmth of vanilla bean with fresh orange peel and citrus bitters. The result is a little sweet, very smooth and dangerously drinkable. I think my deep and long standing love of all things vanilla began in an unexpected place. A pharmacy, to be exact. Not just any pharmacy, though. I’m talking about the original Kiehl’s on 13th street in New York City, founded in 1851 and a fixture of my East Village life in the 1990’s. The original Kiehl’s was a magical place where anyone, even a ragged little teenager with a green mohawk and a bad attitude, could wander in and leave with a bag stuffed with samples of amazing creams and lotions. The eclectic store had beautiful Indian motorcycles and an apothecary table straight out of Hogwarts, filled with vials of amazing scents. Dozens of different flowers, herbs like coriander and mint, varieties of citrus. And my favorite winter scent, vanilla. I would usually leave with a small sample vial, and if I was judicious with it, I’d make it last a whole month. A tiny dab on one wrist was enough for the scent to linger all day, very lightly in the background. The smell is forever associated with that time for me; the East Village in winter, icy wind blowing from the river. The warm spicy notes of vanilla mixed with the wet, salty pavement. I loved that New York. 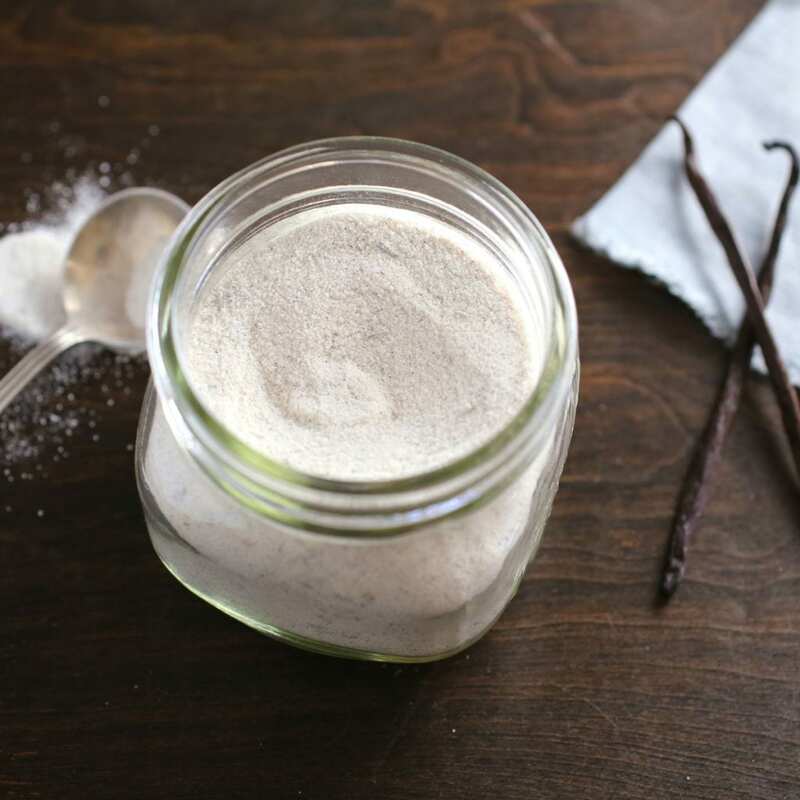 Of course most of us associate the smell of vanilla with baking, but it can be used in much more than just cookies and cakes. This cocktail uses vanilla to highlight the toasty, rich flavors that bourbon naturally gets from aging in oak barrels. The bitterness of orange peel and a splash or two of citrus bitters balances it out, so while you can taste the bourbon, it’s not overwhelming. Vanilla is expensive so if you use it often, you can usually find a good deal on eBay. Note that ‘Grade A’ is top quality and will have the highest moisture content. ‘Grade B’ (sometimes called extract quality) is dryer and is more suitable for making extract and vanilla sugar. Don’t throw away leftover dried vanilla-bean pods! Use them to make vanilla-bean sugar by putting them in a large, sealable container and covering them with granulated sugar. Just replenish with additional sugar and add vanilla-bean pods as you accumulate them. It will take a week or so for the sugar to take on the vanilla flavor. You can also make vanilla-bean sugar quickly. Cut a vanilla pod into 1-inch pieces and add to a food processor along with one cup granulated sugar. Pulse until the bean is finely ground and fully mixed with the sugar. Store in an air-tight container and use just as you would regular sugar. 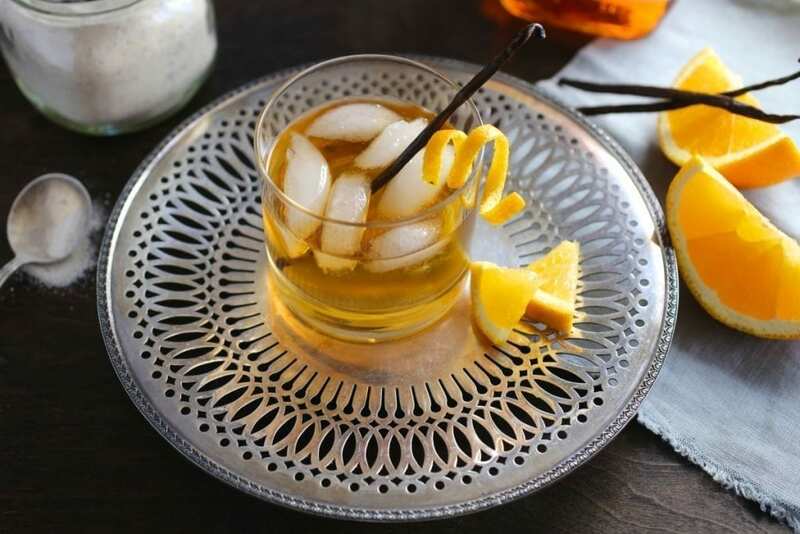 Note: If you don’t want to make Vanilla-Bean Sugar you can also make this cocktail by simply muddling a 1-inch piece of vanilla bean into a glass with 1 tablespoon of sugar and a 1-inch piece of orange zest. Combine the vanilla sugar, bitters, orange peel and a splash of water in the bottom of a rocks glass. Use a muddler or the bottom of a wooden spoon to crush the sugar into the zest until the sugar has dissolved. Add ice cubes (1 large one is best, if you have it) and pour the bourbon over the ice. Stir for a few seconds, then garnish with a vanilla bean or a wedge of orange, if desired. Serve immediately. Vanilla has to be one of my favourite flavours too.. so an old fashioned recipe featuring vanilla like this is definitely something I have to try. Definitely saving this for the Christmas period. I just made a big batch of vanilla sugar and used Madagascar vanilla beans. I keep opening up the jar and just smelling it. It’s heavenly! 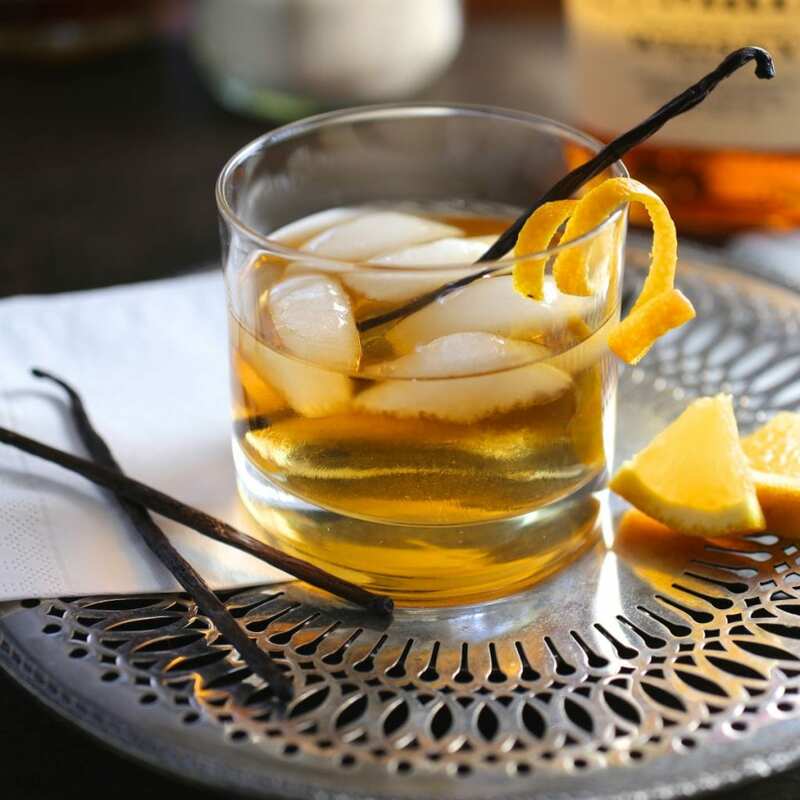 I will have to make this vanilla Old Fashioned ASAP, and I am for sure going with orange bitters. All of these flavors pair together so perfectly!